The last 6 months have been an eventful time for both the animal kingdom and the East Scotland Sea Eagle Schools' project, what with bitterly cold northerly winds for weeks on the end, the infamous 'Beast from the East' and more recently the hottest, driest June on record for some time. 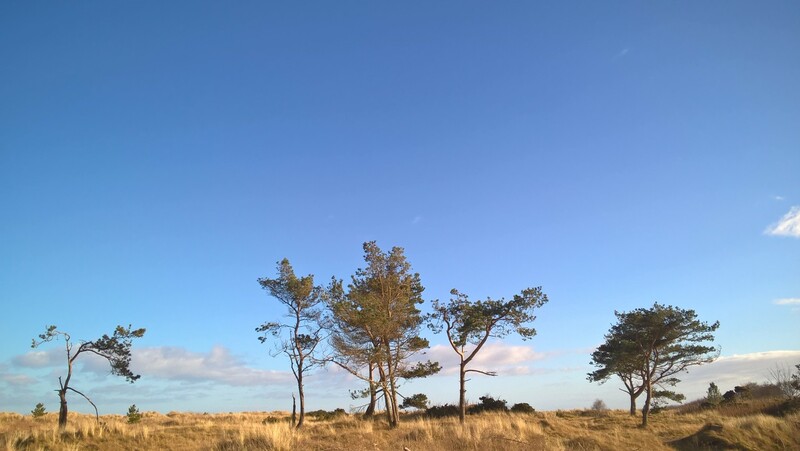 Once again Tentsmuir Forest and NNR will play host this year to over 500 children keen to learn about the reintroduction of white-tailed eagles to East Scotland. In November we caught up with 3 satellite-tagged young sea eagles from previous years nests in East Scotland. In this blog we will look at the progress made by the 4 latest additions to the East Scotland sea eagle population that hatched in 2017. These young birds came from 3 successful sea eagle nests, one in Fife, one in Angus and one in Speyside. 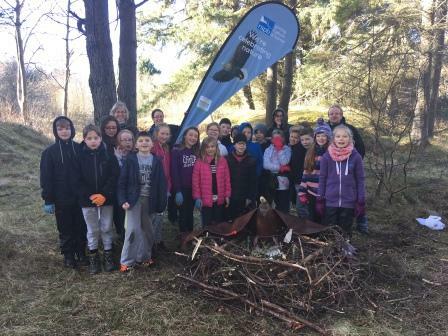 Earlier in the year pupils from Tayport primary attended a ‘Celebrating Nature with Schools’ session to learn about the reintroduction of white-tailed eagles to East Scotland. 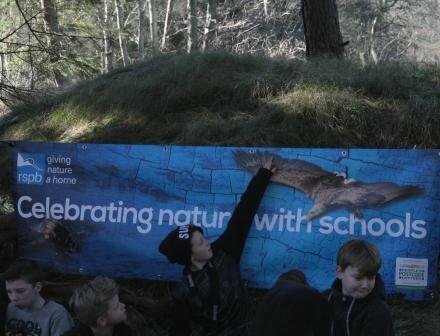 Following their day of outdoor learning they were invited to deepen their knowledge about their local environment further by participating in Scottish Natural Heritage’s schools camera trapping project. It's been a busy 7 months for 'Celebrating Nature with Schools' team and I'm delighted to say we have reached the milestone of engaging 750 local primary pupils from Perth & Kinross, Dundee, Angus and Fife with the project. What's on this summer for East Scotland Sea Eagles? With autumn in the air and the leaves a blaze of colour, it's a brilliant time of year for children to get outside and learn about the nature on our doorstep. 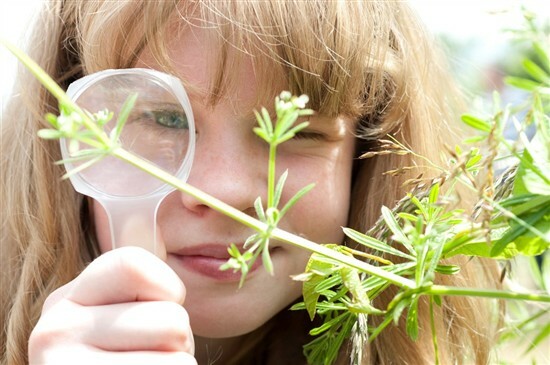 Thanks to funding by the People's Postcode Lottery we are delighted to announce the launch of a brand new project; Celebrating Nature with Schools. Across Scotland with "White K"
The fate of "14White A"
Plenty of Reasons to Celebrate - And You're Invited! 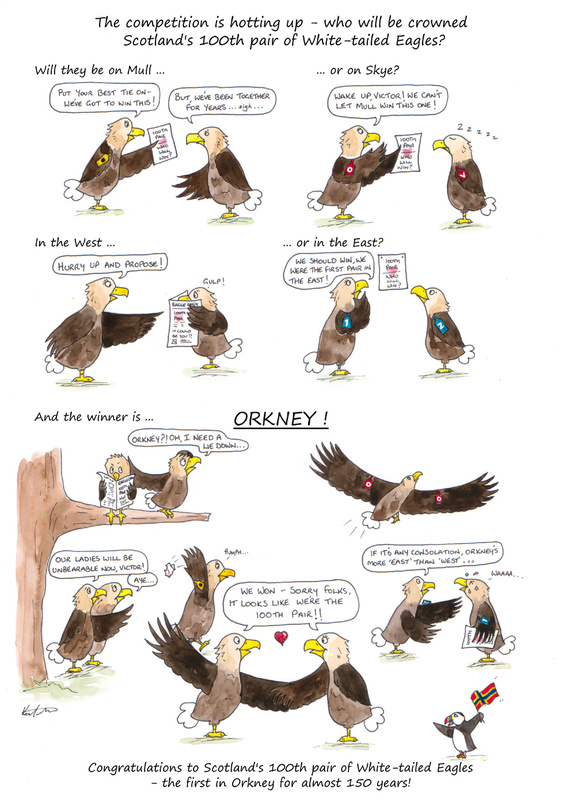 As some of you might already know, 2015 is a very special year for sea eagles in Scotland. It has been 40 years since the first sea eagle chicks from Norway were released and 30 years since the first wild chick fledged. This anniversary year has also seen the sea eagle re-introduction programme reach the important milestone of 100 breeding pairs in Scotland. A HUGE thanks to Karen Hartnell for yet another amazing cartoon! Forty years since white-tailed eagles were re-introduced to Scotland these magnificent birds have reached the important milestone of 100 breeding pairs. As revealed by Iolo Williams on last night’s BBC Springwatch the 100th pair nested on Hoy and are the first white-tailed eagles to nest in Orkney for 142 years. On the 18th of February, our 2014 fledgling from Fife finally left his natal woodland! “14White A” has been roosting in and around his nest wood since he fledged in August last year. It’s rather unusual that it’s taken him so long, (7 months in fact!) 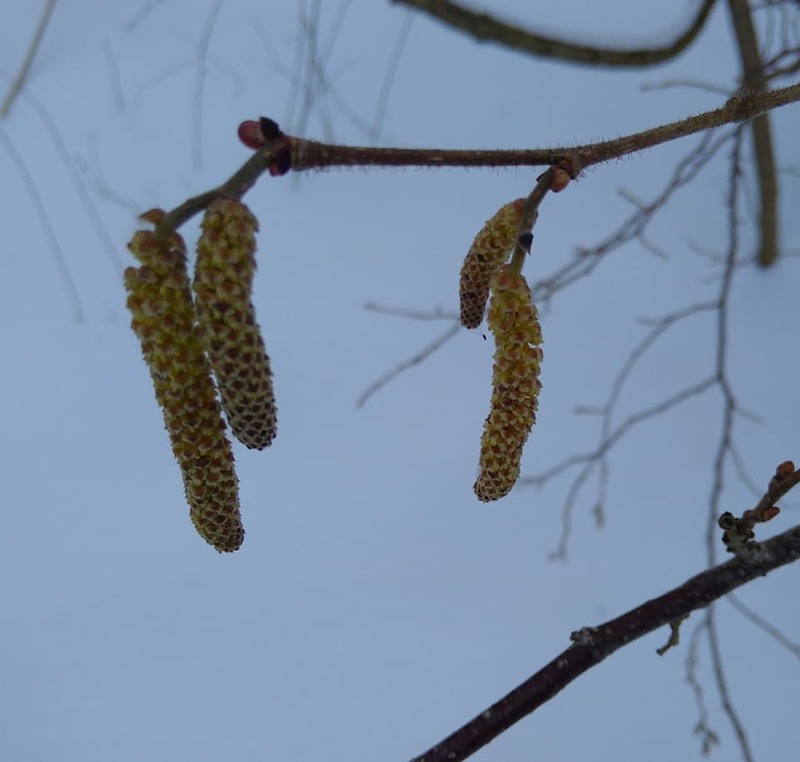 however with such great habitat and food availability nearby all year, why bother?! Last weekend I received a very welcomed sighting of a 2012 released white-tailed eagle. As there were so few birds released in 2012 – only 6 compared with around about 15-19 in previous releases (and the wing tag colour isn’t the easiest to read) I rarely receive any visual confirmation of their whereabouts from colleagues or members of the public. Two great places to see white-tailed eagles NOW! As if by clockwork, and with the first cold snap last Tuesday, Turquoise H, our 2009 released female white-tailed eagle appeared on Loch Leven! This is the 5th year running that Turquoise H with her partner Turquoise X have arrived there for winter.